Taipei, Jan. 28 (CNA) Taiwan protested Tuesday over Japan's decision to define the disputed Diaoyutai Islands in the East China Sea as its own territory in a manual on government guidelines for school textbooks. "The Republic of China government has expressed its solemn protest to Japan through diplomatic channels," the Ministry of Foreign Affairs said in a statement, while reiterating that the Diaoyutais are inherent territory of the ROC. Any unilateral Japanese move does not change the fact that the ROC enjoys sovereignty over the islands, the ministry said, adding that Japan's action is not conducive to regional peace. The ministry issued the statement hours after Japan announced earlier in the day the decision to revise the manual on government guidelines for teachers and middle and high school textbooks. The revised manual says that the Diaoyutai Islands, known as the Senkaku Islands in Japan, and the Takeshima chain, called the Dokdo by South Korea, are part of Japan's territory. South Korea has also condemned Japan's action and China has expressed deep concern over the issue. This is Japan's latest move to assert its territorial claims over the Diaoyutais. 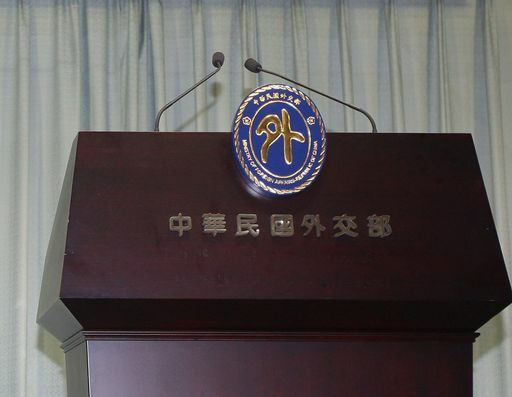 In its statement, Taiwan's Foreign Ministry reiterated the country's principles for addressing the territorial dispute -- safeguarding ROC sovereignty, shelving differences, seeking peace and reciprocity, and jointly exploring resources. The Diaoyutais, some 100 nautical miles northeast of Taiwan, have been under Japan's administrative control since 1972 but are also claimed by Taiwan and China, which calls them Diaoyu Islands.